There are many reasons why a pilot would call for an emergency landing, but an evil spirit isn't typically one of them. 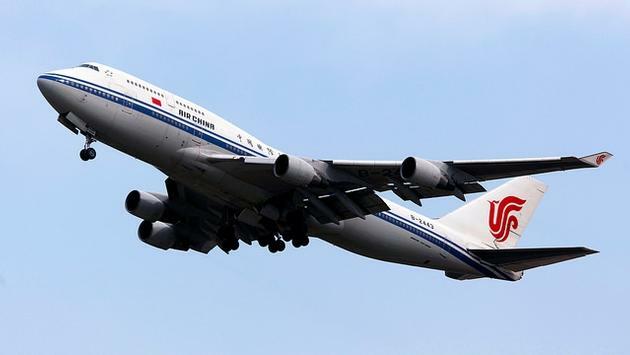 According to the Daily Mail, a woman in her 50s passed out on Air China Flight CA 4102 from Beijing Capital International Airport to Chengdu Shuangliu International Airport in Sichuan, which caused alarm among attendants. The captain of the flight called for the plane to be diverted back to Beijing in order for the woman to receive medical attention. Attendants used an oxygen mask to help the woman breath after they discovered her pulse was weak. Eventually, the female passenger woke up and became emotionally unstable. The woman kept telling flight attendants that something possessed her body and started to cause a scene. As several people including crew members and medical professionals attempted to calm her down, she began to scream and even scratched one of the air security officers. Once the plane landed safely in Beijing 40 minutes after it originally took off, the female passenger was removed from the place and taken to a local hospital for an evaluation. In total, the incident caused the flight to be delayed by five hours.